Group of 6 x pōhutukawa and 3 x tōtara planted at the summit of Maungakiekie / One Tree Hill to replace the single radiata pine that was removed on 26 October 2000. 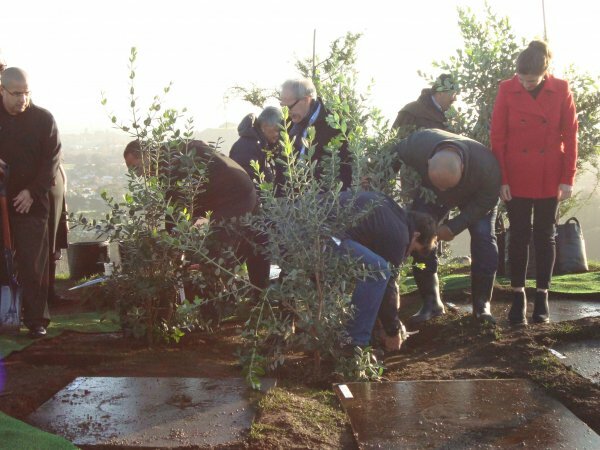 They were planted by Ngati Whatua, Marutuahu and Waiohua representives, Christine Fletcher, Mayor Len Brown, Ted Wilson, Karen Wilson, Simon R and a student on 11 June 2016 at a public planting attended by 100's of people. As at June 2018 the pōhutukawa range from 2.34 - 2.71m high and the tōtara 1.60 - 2.17m high. 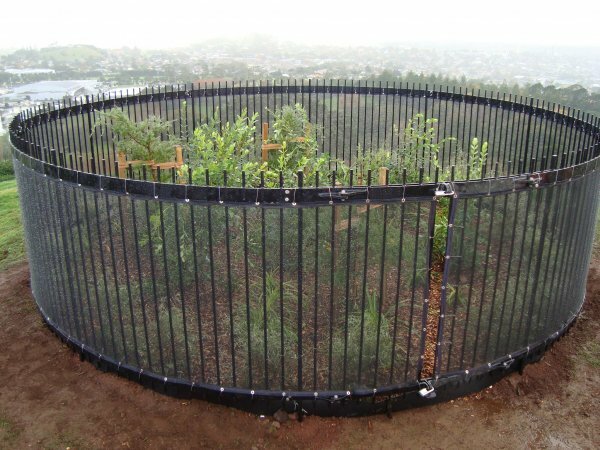 An enclosure consisting of a steel barrier with wind break cloth attached is erected around the planting with a ring of Olearia lineata planted inside that as shelter to the trees. 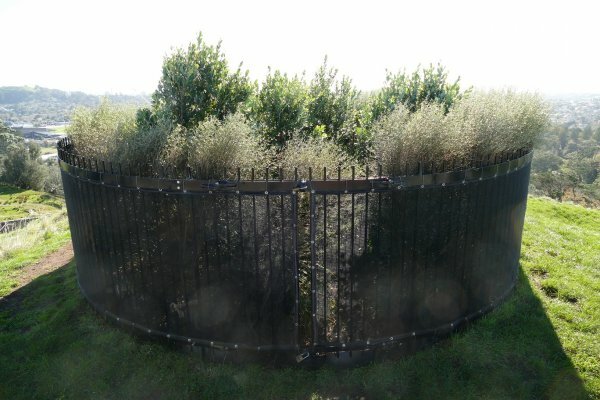 Kiekie have been planted as a groundcover within the enclosure. The intention is that only one pōhutukawa or tōtara tree will eventually be growing on the summit. The pōhutukawa were propagated from cuttings from a seedling that was growing on the bark of the pine and from cuttings and seed from a pōhutukawa tree just below the summit on the north western side and the tōtara were growing from cuttings taken from a tōtara near One Tree Hill domain that was obviously pre-European. All trees are in good health. 24 Jul 2018 Barton, S. G.
At the very top of the summit beside the Obelisk.